Well, if ever there were an aspect of getting married that is as steeped in straight tradition as it is frothing for gay reinvention, it is getting engaged. The questions abound! 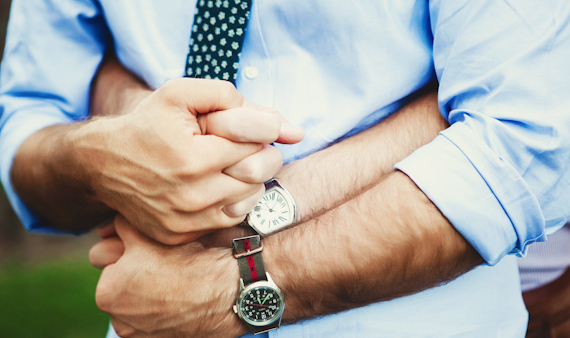 Who pops the question in gay engagement? Do you ask his father or his mother for his hand in marriage? Does one groom wear an engagement ring? And the other groom wears… what? Our answer to all these gay engagement queries: go forth and be yourselves. If you’re going for the full-on surprise, buy yourself your wedding ring and offer it to your soon-to-be fiancé to wear until the big day. Sit down with his parents and ask for their son's hand in marriage. And, once he's said yes, go buy his wedding band so that you can each wear each other's wedding ring - maybe around your neck or on the opposite hand - until the day you tie the knot. Or, if you are ones to talk it all out, consider repurposing the soon-to-be-obsolete commitment ceremony! Light upon a time and place and vow to each other to get married. Exchange rings or go further afield and give each other a watch or something otherwise symbolic, like a family heirloom. But, regardless who gets on bended knee, we say you go for a little bling so that you can show it off to all your gal pals and have them swoon at the story of your betrothal. Because, who knows, maybe in the process we will help said gal pals muster up the… reinvention… to pop the question to their future hubbys. 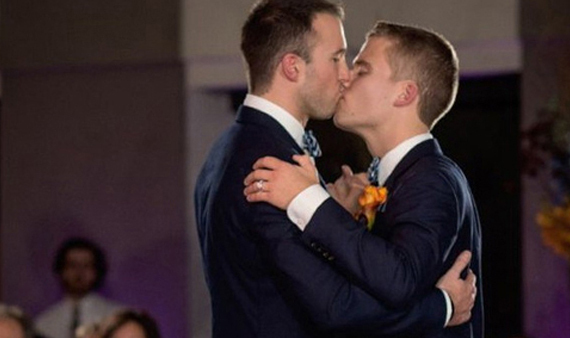 Want more gay engagement inspiration? 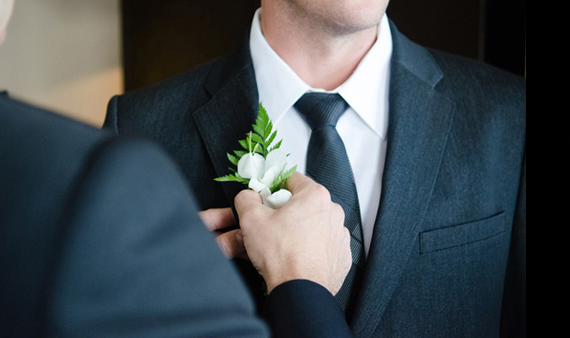 Get gay wedding ring ideas from MEN'S VOWS Pinterest board and read our gay wedding ring tips!